1. Brussels was established as a city in the 13th century. 2. The city is home to 40,000 EU employees, 4,000 NATO employees and hosts about 300 permanent representations: lobby groups, embassies and press corporations. 3. Brussels occupies an area measuring 161.4 square kilometers (62.2 sq. mi) and a majority of its residents speak Flemish Dutch or French. 4. About 27 percent of the residents in Brussels are not Belgium citizens. 5. Brussels is a major trader of Beer, waffles and chocolate. There are more than 800 brands of beer on sale in Brussels. For those who love partying, Brussels can hold its own with other big cities such as Berlin in Germany and Dublin in Ireland. 6. Chips, also commonly known as French Fries were invented in Brussels. In fact, in almost all the eateries in the city, you will find a variation of French Fries being served. 7. The largest agricultural, forestry and agri-food fair in Europe is held in Brussels. It is called Foire de Libramont. 8. Opened in 1847, the Galleries St Hubert in Brussels are the oldest shopping arcades in Europe. 9. 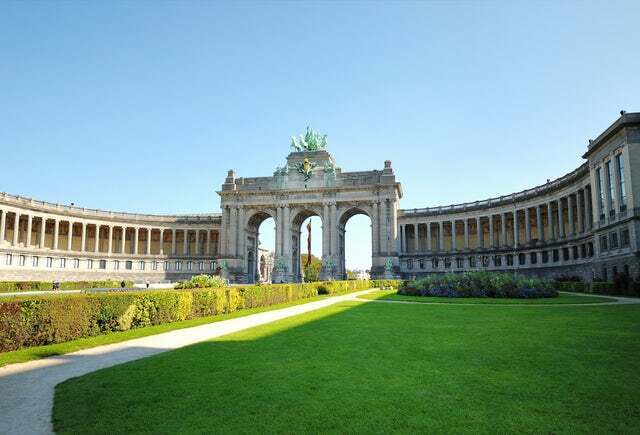 The Royal Palace of Brussels was built in similar neo-classical architectural design but its facade is 50% longer than the one in Buckingham Palace. 10. Brussels is home to the largest Freemason temple in Europe - The Great Temple at 79, Rue de Laeken.